The GISER core team is a hub in the network of graduate students who have been involved with GISER over the long term and provide vision, mentorship, and logistical support for GISER programming. The role of members of the core team is to be flexible, quick-responding, and actively engaged so that members of the GISER community at large can flourish in leading their own initiatives. 2016-2018 core team: Aireona Bonnie Raschke, Michelle Stuhlmacher, and Skaidra Smith-Heisters. Aireona Bonnie Raschke: "I like to help out research/project proposals that deal with conservation biology, ecotourism, ecosystem services, and ecology. I'm a geek about too many things! In particular, I love travel, hiking, and anything related to sci-fi and/or biology. I know ecotourism and qualitative social research resources like the back of my hand. Get in touch with me if you have any questions or would like to collaborate. I am also a born and raised Arizonan, so if you need a hiking pal, I am always excited to meet new people and go exploring." Michelle Stuhlmacher: "I like to help out research/project proposals that deal with the spatiality of human-environment relations. I'd collaborate with anyone who's curious about understanding the spatial extent and impacts of their research. I'm a geek about land system architecture, how policy informs land use, and color coding my google calendar. I know satellite image processing resources like the back of my hand. Get in touch with me if you've got a policy that you're wondering about the landscape impacts of or the other way around!" 2014-2016 core team: Ashley Hagaman, Drew Eppehimer, Eric B. Kennedy, Julie Gwiszcz, and Skaidra Smith-Heisters. Skaidra Smith-Heisters: "I like to help out with projects connecting big political economy theory with small practical applications. I'm a geek about large-scale water infrastructure, cooperative processes, and rules. I would like to know everything there is to know about polycentricity and individualistic institutional analysis. Get in touch with me about the GISER website and/or listserve, anything Ostrom-related, anarcho-pacifist plots, and field trips to Arizona dams and reservoirs." 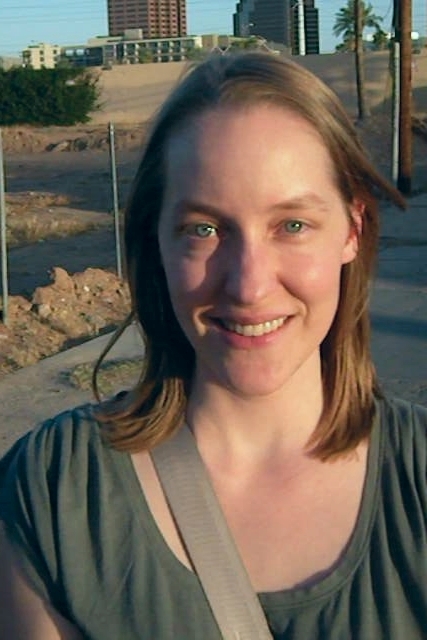 Julie Gwiszcz: "I like to help out with projects that deal with socioecological justice (e.g. climate justice, water justice, food security, etc. ), sustainable development / sustainable well-being, human rights, and socioecological transformation. I'm a geek about youth empowerment, capacity building, engaged learning, and identifying unusual connections across disciplines and fields of practice. I also flat out love exploring, traveling, photography and all things outdoors! I'm most experienced in applied work, particularly in the realm of program development / management and partnership development / collaborative network formation. Get in touch with me if you're looking for suggestions on how to build synergistic partnerships of actors or just want to go exploring. 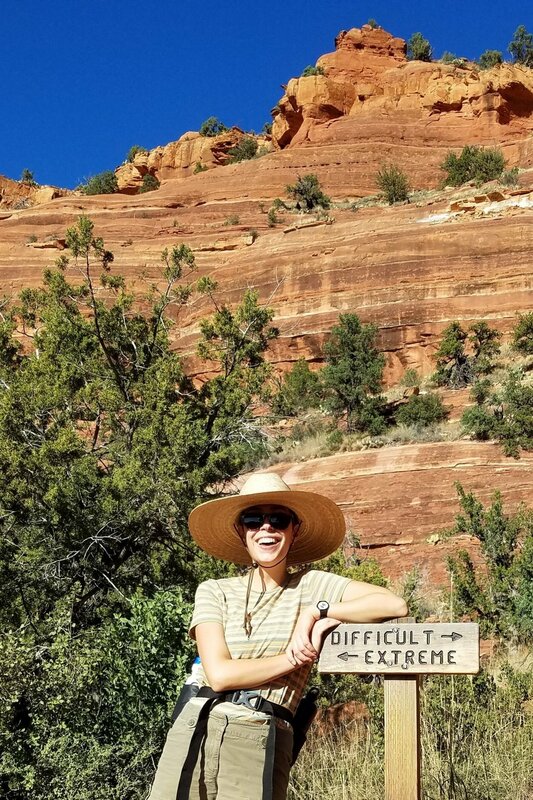 I may often be overextended, but I'm pretty good at facilitating connections and I'm always down for a new adventure." Eric Kennedy: "I like to help out with projects that deal with cross-sector collaboration, innovative design, and interdisciplinarity itself. I’m a geek about airplanes and travel, the outdoors, and environment/technology. I know research design & evaluation methods like the back of my hand. Get in touch with me if there’s anything I can do to help out with asking good questions, evaluating outcomes, problem-based design, or, well, any fun projects!" Drew Eppehimer: "I like to help out with projects that combine water rights, sustainability, and the conservation of aquatic biota. I am a graduate of ASU's Justice Studies MS and current UofA PhD student of Arid Lands Resource Sciences within the School of Natural Resources and the Environment. My research focuses on water resources and aquatic ecology within the Sonoran Desert and characterizes the environmental flow potential of effluent discharge. I would love to participate in and facilitate collaborations between Arizona State University and the University of Arizona. Get in touch with me if you're interested in building research partnerships between these universities."